DAMIAN: Jack and Sara, thank you so much for talking to me about Thursday’s children. How are you both? DAMIAN: Sara, obviously water and swimming pools featured quite heavily in the first episode this year but what’s this I hear about you performing ROMEO & JULIET in a swimming pool? SARA: Seems there’s plenty of drama to be had in a swimming pool and plenty deaths for that matter. We did a site specific theatre piece in Victoria Baths, Manchester, for HOME theatre. Juliet’s tomb was in the first class men’s pool. It took days to fill with water and was decorated with floating candles and flowers. Quite a sight. Although one performer did fall in during a show… the atmosphere may have suffered slightly on that occasion. 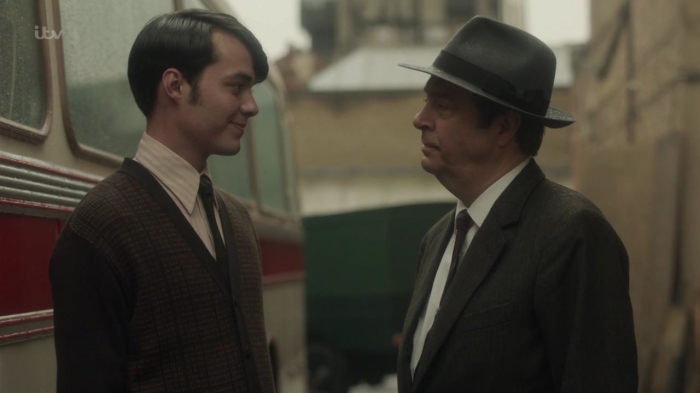 DAMIAN: And Jack, I’ve recently done interviews with Gillian Saker and Jonathan Barnwell, and you are yet another actor to work on both RIPPER STREET and ENDEAVOUR. What can you tell us about your time in Whitechapel? 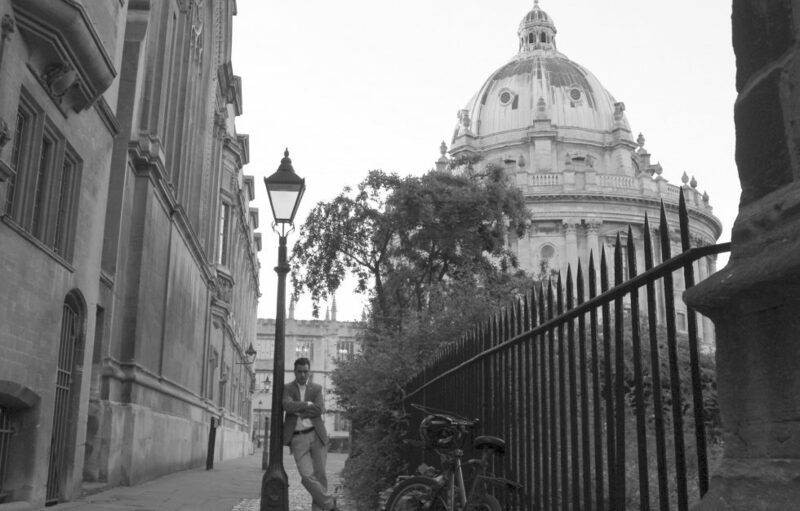 JACK: It was certainly very different to my time in Oxford tends to be. In Oxford I keep out the way, mind my own business, whereas in Whitechapel I was in the thick of it. I play a drunken, incestuous fishmonger… who says I don’t have range?! DAMIAN: Looking through your CV Jack, you’ve worked on FURY starring Brad Pitt and THE IMITATION GAME with Benedict Cumberbatch no less! What were those two projects like to work on? JACK: They were both fantastic projects, a real experience for me! I’d never done a feature film before so it was kind of a baptism of fire. Weirdly I had the first round of auditions for the two films on the same day along with an audition for KIDS IN LOVE an Ealing studios film which I ended up doing too… I only wish I knew what day of the year it was, I could line up as many auditions as possible on that day every year! 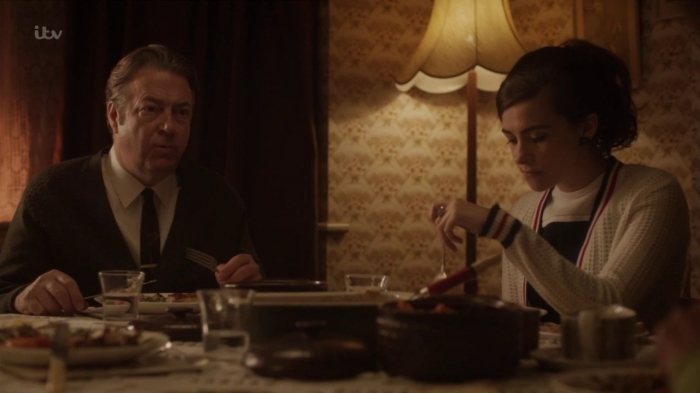 DAMIAN: I think one of your first screen credits was on a show called SHADOW PLAY back in 2004 and I noticed that Helga Dowie worked as line producer on that and later produced both LEWIS and ENDEAVOUR amongst other things. Did this connection have anything to do with you getting the part of Sam? JACK: Yes!! What an eager eye you have. As far as I’m aware it had no bearing on me getting Sam. You’d have to ask Helga. 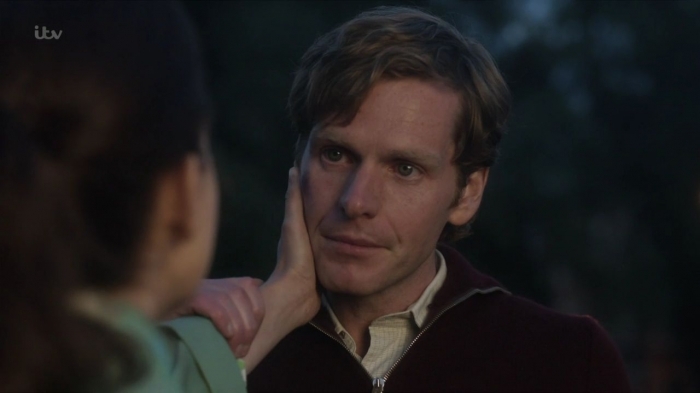 I remember recognizing the name when I started ENDEAVOUR and it was my mum who made the connection. However I’ve never spoken to Helga about it… I doubt she’d even remember me from SHADOW PLAY – I was 10!!! DAMIAN: Sara, and how did you get the part of Joan? SARA: I auditioned for Joan during casting for film 1 of the first series. After a couple of meetings, I was told the Thursday family had been written out. Luckily they were back for film 2 and off I went for another meeting. I remember the day I got the part. I hadn’t been out of drama school all that long and I was serving champagne at a catering event. I thought I need to be drinking this stuff right now – not serving it! 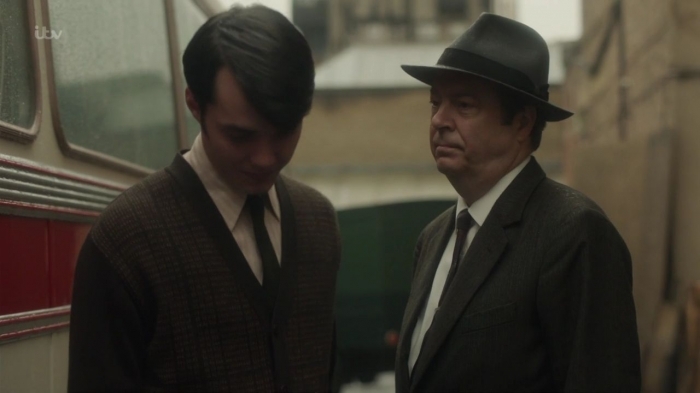 DAMIAN: Were either of you familiar with the world of Colin Dexter before ENDEAVOUR, had you seen any of the original INSPECTOR MORSE or LEWIS? JACK: My grandparents have always enjoyed it and I’d seen bits and bobs…it’s great being at the start of the Morse journey. SARA: I was familiar with the shows and had watched the odd episode but never seen a series right through. Luckily ENDEAVOUR precedes all that work, so maybe it’s better not to know too much! DAMIAN: Other than ENDEAVOUR Sara, I suppose you must be most recognized for your work on another detective series SHETLAND with Douglas Henshall who I admire greatly as an actor. What’s he like? SARA: Dougie is fantastic to work with. He is always experimenting with numerous options of how a scene can be played, he would never pin anything down until he absolutely had to. I really admire that element of endless creativity within the technical confines of filming. 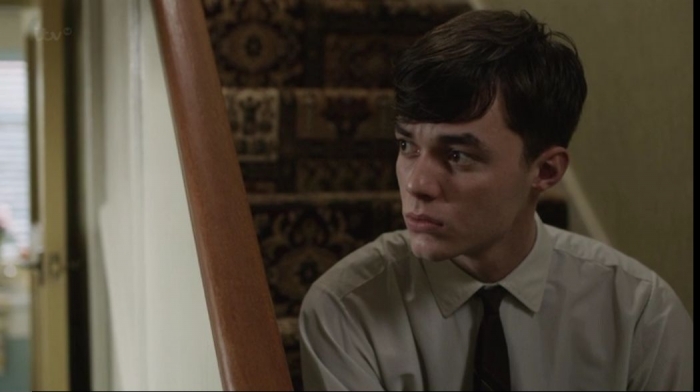 He is constantly questioning and unearthing and has a real fire in his belly… perfect qualities for playing a detective. DAMIAN: And you’ve worked on two Matt Smith projects, BERT & DICKIE and the phenomenally successful THE CROWN. Tell us something about your experiences working on those? 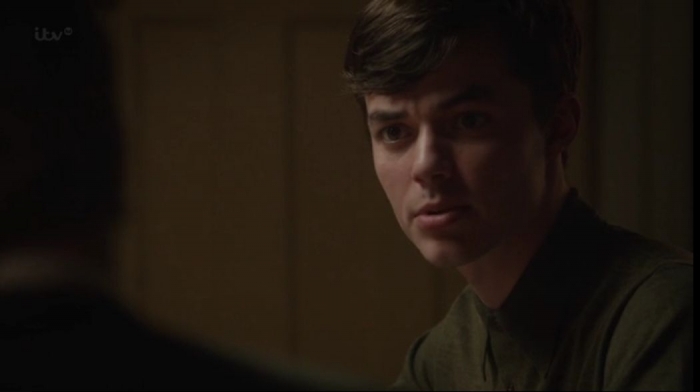 SARA: Well BERT & DICKIE has a special place in my heart as it was my first TV role as a professional actor. 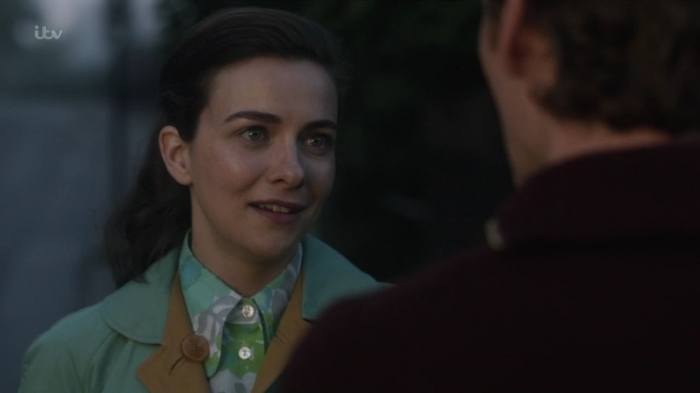 I got to work with fantastic people and play a headstrong Scot called Margaret Bushnell. Playing a real person brought another dimension to the work. I met Margaret’s daughter at the screening who luckily welcomed my interpretation of her Mum. In THE CROWN I played another real person, Crawfie the Queen’s nanny. It was fascinating diving into her story, as it was quite the scandal. 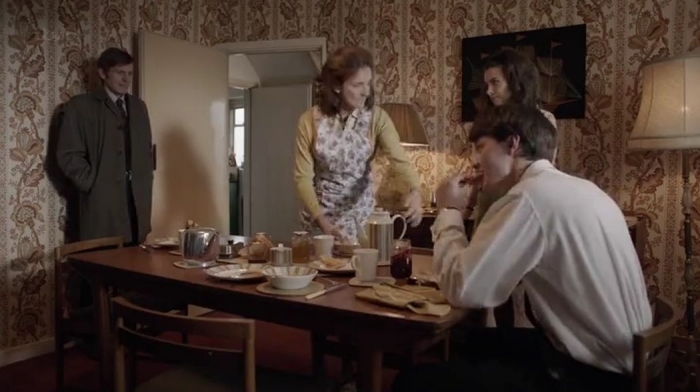 DAMIAN: Filming for ENDEAVOUR involves a lot of scenes around the table in the Thursday home but Jack, is it fair to say you usually do most of the eating? JACK: Haha yes!! 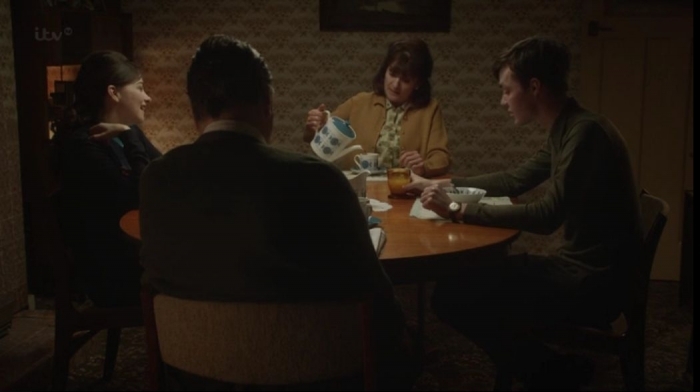 From the first scene we ever shot where we are eating beef stew I decided Sam was a big eater – growing boy and all, although I think I remember we were about to break for lunch, it had been a long morning and I was just hungry so I shoehorned in some character ‘choice’ so I could gorge. Props weren’t too happy having to top my plate up every take but they get their own back when it’s an eating AFTER lunch and I can’t fit anything in. From that first scene on Sam always seemed to have something in his mouth, you’ll have to ask Russ if that’s deliberate, I hope so, it’s a nice running theme I think. 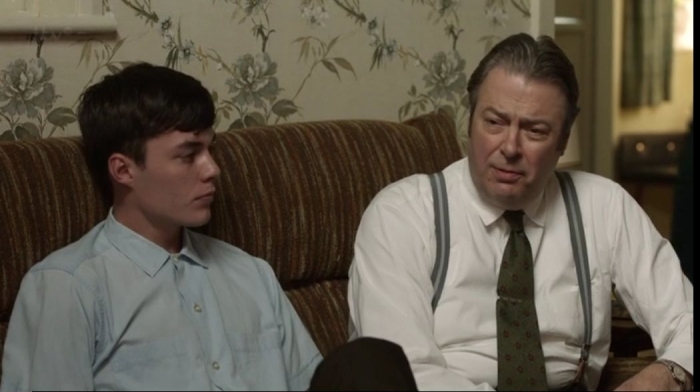 DAMIAN: What are Roger Allam and Caroline O’Neill like as your onscreen parents? JACK: They’re brilliant. Every day is fun when we’re all together. The fact we get to meet up every year and chat about what we’ve been doing etc. – it’s like a real family. SARA: The best. Win is a caring, loving, yet don’t mess with me kind of mum. I reckon Joan and Sam have both pushed their luck over the years and not gotten very far! Fred is an overprotective, straight down the line kind of Dad. But can you blame him in his line of work!? There is a lot of love, laughter and warmth in this family. Perhaps that is why Endeavour is drawn in. DAMIAN: Roger is one hell of an actor and a pretty formidable presence on set, were either of you nervous filming your first scene with him? JACK: I was nervous to meet him what with it being my first TV job for years and being a fan of his but once that first handshake at the read-through was out the way it was brilliant. He’s absolutely hilarious, the nicest man and most generous collaborator. Every set should have a Roger. He also occasionally helps us get into the era with little memories of his childhood which is great. SARA: Funnily enough I felt very at ease filming with him. For one, he is a total joker. What a dry sense of humour he has. He also has a real grounding quality. As soon as we start we know what world we are in. The family naturally orbit around him. Very much the traditional British family in that sense. 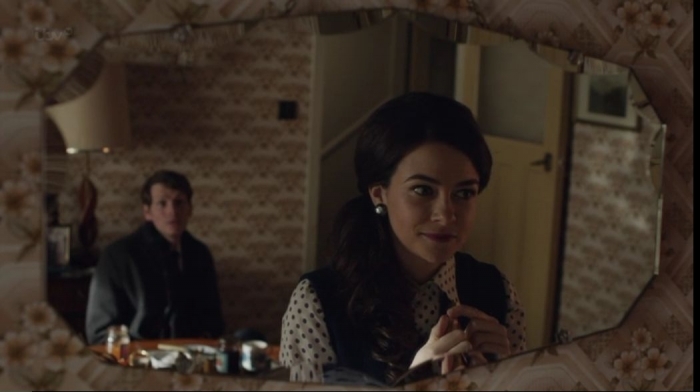 DAMIAN: Sara, there’s a beautiful chemistry between Joan and Endeavour which I think really began to shine during HOME from the first series. 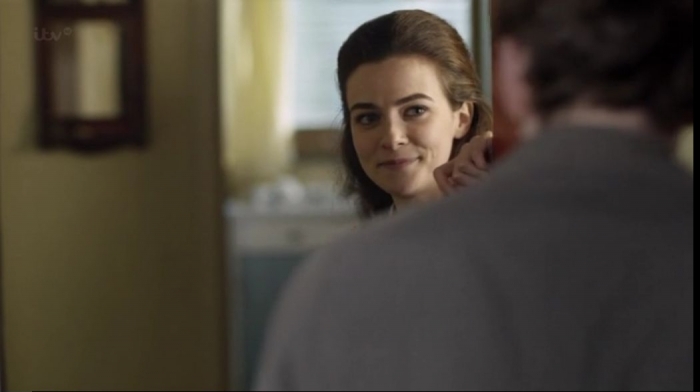 The writer, Russell Lewis, told me that from the moment he had her open the door to him for the first time in FUGUE, he knew that Joan and Endeavour would fall for one another. Did you have any idea back then what Russ had planned for the characters? SARA: I’ve been very much on a path of discovery, along with the audience! 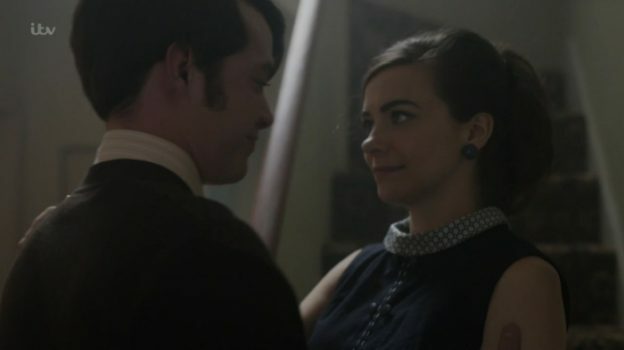 Directorial wise, especially in those first few episodes, I had been steered towards light hearted flirtation and friendly teasing, and things seem to have grown from there. It’s wonderful to play a character and then have things grow from moments created on set. 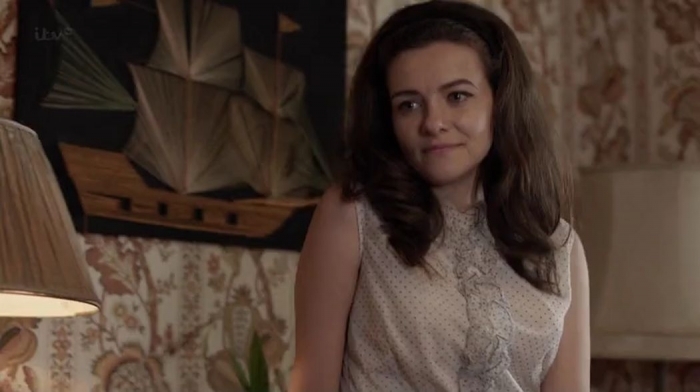 DAMIAN: How would you describe Joan’s attraction to Endeavour? SARA: Good question. 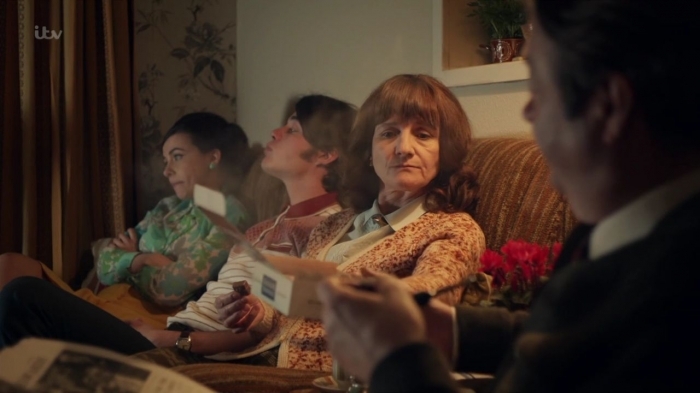 I think Joan is very intrigued by Morse. She is not one for the ordinary and Endeavour appears to be everything out of the ordinary. They have something they can’t put their finger on. But surely that’s the best kind attraction, the indescribable. 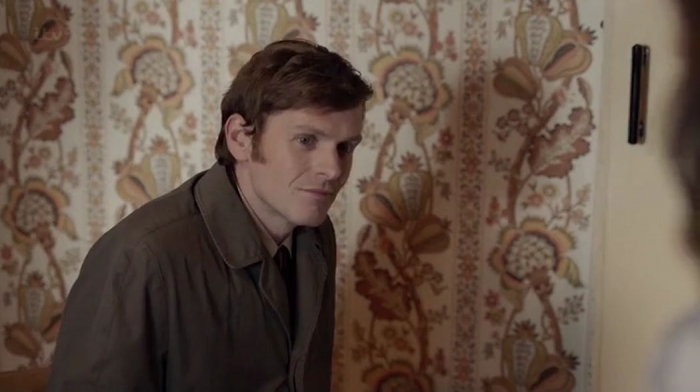 DAMIAN: I admire you commitment to the role because it must be terribly difficult to pretend to fancy Shaun Evans. SARA: It’s a real tough job. Thank God he’s a nice person. DAMIAN: And Jack, I loved that moment in PREY last year when you express your faith and admiration for Thursday (Sam: This with work… Whatever it is, you’ll get him. THURSDAY: Will I? Sam: Of course. 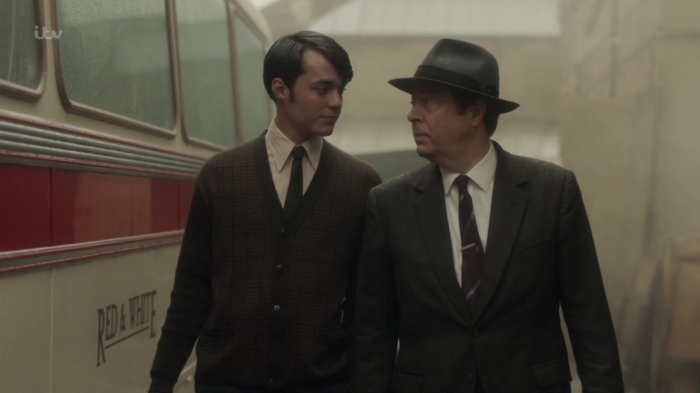 You’re my dad). I wonder if there is a sense with Sam that he feels the need to gain respect from Thursday by following in his footsteps by joining the army as he did before becoming a copper? DAMIAN: There was another tender moment that I loved at the bus stop when Sam and Thursday say their goodbyes as he leaves for the army although it was a very quiet and restrained send-off with so much that seemed left unsaid. 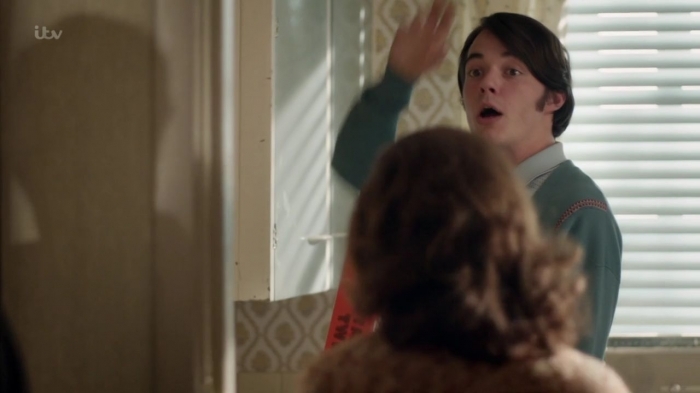 I asked Russ about this and why Thursday couldn’t have given Sam a hug to which he replied, well, it was the sixties. What are your thoughts on this? JACK: Well, male relationships were different then. A father son relationship will always be an odd thing I think. 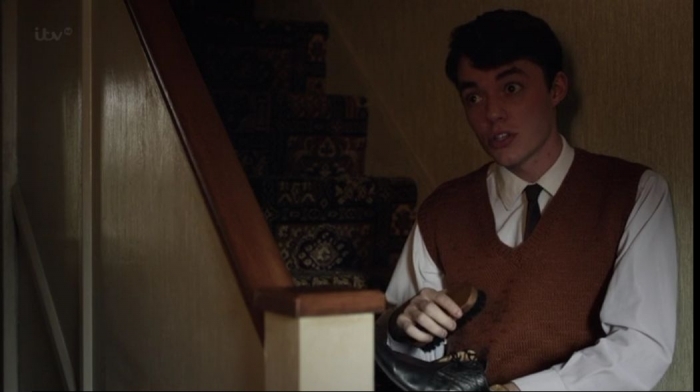 In that scene I saw it as all the other wanted to say was ‘I love you and I’m proud’ but they just don’t it’s all very ‘jolly good, look after yourself.’ I loved that scene, it was a rare moment of just Sam and Fred without the girls chatting away and a rare foray out the house for Sam! 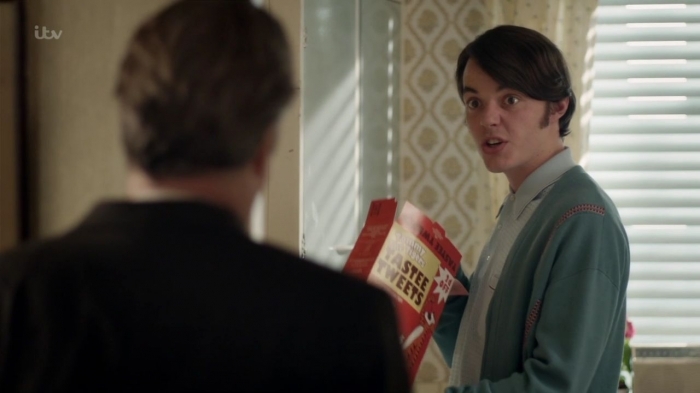 DAMIAN: I don’t know if you’ll remember this Jack but there’s a moment from ARCADIA where, upon finding the coveted Thunderbird 2 toy in the cereal box, you give an Eric Morecambe-like “Wha-Hey!” Again, I’ve asked Russ about this and he told me to ask you so presumably it wasn’t scripted? DAMIAN: The relationship between Joan and Sam is also lovely to watch but how do the two of you get on off-screen? SARA: We get on very well and have good laugh as the kids! We can go through a whole series without meeting any of the guest cast. So it’s a darn good thing we are mates. Sometimes it feels like we are filming our own show… The Thursdays! JACK: She’s horrible. Really, really horrible. (She’s bloody brilliant and I wouldn’t want anyone else playing my sister) As Sara says, we are a little aside to the plot a lot of the time so it’s just us hanging out which I kinda like… watch out for ‘The Thursdays’ it will be great, although Sam can’t be eating all the time in that, I’d end up 20 stone!! DAMIAN: What would you say the two of you share in common with your characters? SARA: We both have a soft spot for the good guys. DAMIAN: And finally, what have you both got lined up next? JACK: I’m about to start rehearsals for a play at the Hampstead theatre and look out for my Scottish accent in The Loch and Clique two new series on ITV and BBC respectively which will air in a couple of months! Oh and ‘The Thursdays’ hopefully! SARA: A new year…..who knows…hoping it’s something exciting! DAMIAN: I’ll be watching with interest. Thank you both very much indeed. JACK: Cheers mate! All the best. SARA: Thanks Damian. Hope you enjoy the rest of the series four. 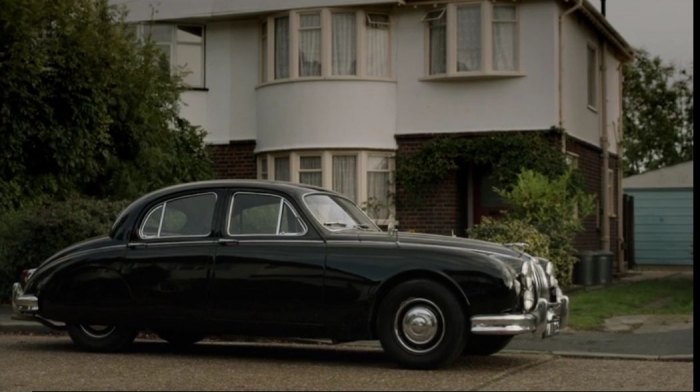 This entry was posted in Endeavour and tagged Bert & Dickie, Caroline O'Neill, Colin Dexter, Damian Barcroft, Damian M. Barcroft, Damian Michael Barcroft, DI Fred Thursday, Endeavour, Endeavour Series 3, Endeavour Series III, Helga Dowie, Inspector Morse, Jack Bannon, Joan Thursday, Kids in Love, Lewis, Margarat Bushnell, Roger Allam, Russell Lewis, Sam Thursday, Sara Vickers, Shadow Play, The Crown, The Endeavour Archives, Win Thursday on January 29, 2017 by Damian Michael Barcroft.